This video is prerecorded. Tune in during business hours for our live broadcast. A shot of our Deep Ocean Escalator from the bottom. 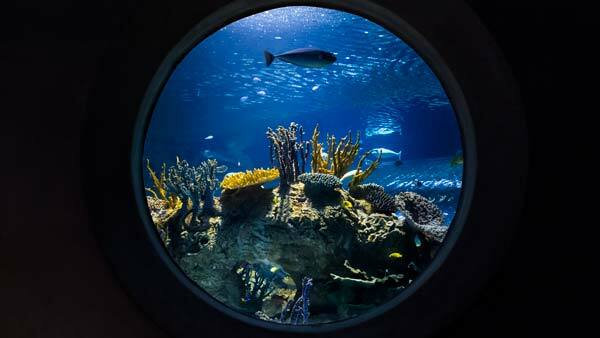 See the Deep Ocean Port Hole while stepping into Bizarre & Beautiful. A shot of our Deep Ocean Escalator from the top. The view of our Deep Ocean exhibit from the theater. 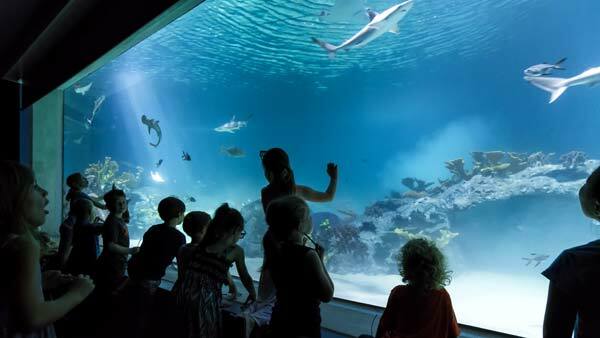 Step onto our fully enclosed Deep Ocean Escalator and you’ll be transported through the Sharks of the Deep. 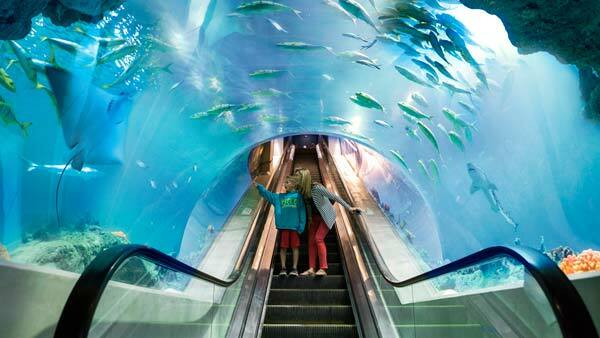 The first of its kind, this fully enclosed escalator draws you deeper and deeper into an underwater world where you’re completely surrounded by thousands of mysterious ocean creatures. On your ride, don't miss the giant rays flying overhead, gliding like kites in the wind, or the whitetip reef sharks emerging from the shadows. See if you can spot our rescued sea turtles, all 8 shark species, and 3 different large schooling fish! Can’t take the escalator? Don’t worry, we have an elevator, too! 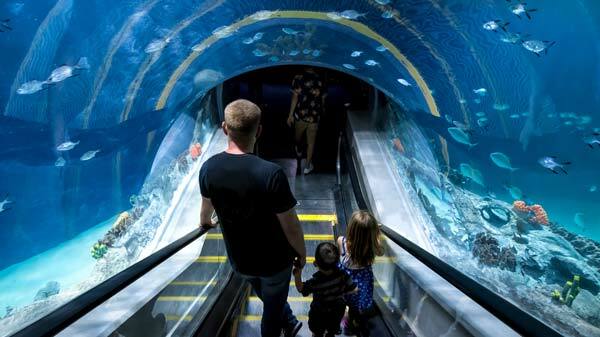 Did you know that our Deep Ocean exhibit, one of our largest exhibits, has a custom-designed, fully-enclosed escalator that travels straight through it?